Too Much To Do, Not Enough Time To Do It! Can you relate to that? This is a common theme that I hear from participants in our keynotes and workshops as well as the participants in our Leadership Fast Track Program. What is the Scarcest Resource? In my interview with Cathy Davidson last year regarding her book Now You See It!, we talked about the scarcest resource. What would you say is the scarcest resource? Most people respond with time--that the most constrained resource we have to deal with is the clock on the wall. Or sometimes I hear people respond that money is the scarcest resource. In Cathy's opinion, it's neither. Rather, it's attention. We all get the same 24 hours. It's what we do with those 24 hours--what we put our attention to--that makes all the difference. So, what is most worthy of our attention? How can we use the limited time that we have to be most productive? I'm really excited about a new book released just this week. 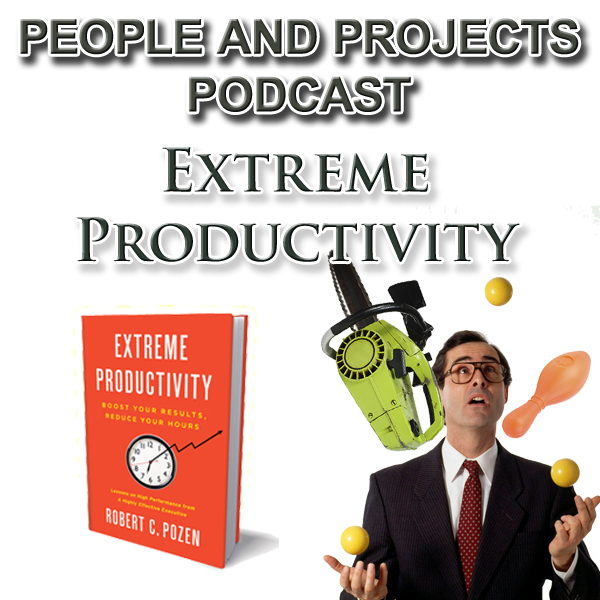 It's entitled Extreme Productivity: Boost Your Results, Reduce Your Hours. I caught up with the author Bob Pozen last week and look forward to sharing that interview with you in this episode.